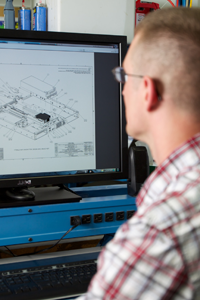 Crystal Group engineers, armed with decades of experience and expertise, engineer systems that last and meet the precise needs of the customer, program, and end user. Crystal Group’s engineering team continues to provide hands-on guidance throughout development, manufacturing, and deployment. Contact Crystal Group’s helpful and knowledgeable staff for Systems Engineering services a quote, or more information.